Nice townhouse is in the center of Fuengirola. The property consists of a living-room, private terrace, one bathroom, 2 bedrooms, separate kitchen ,a patio and upstairs there is an open terrace - solarium with a possibility to construct one more building of 70 meters. 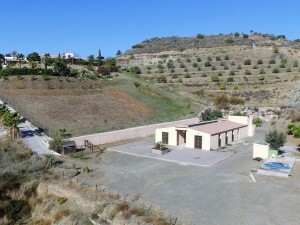 The plot has 143 meters and a house of 93 meters. Located in a quiet street but is very close to all amenities like shops, supermarkets, pharmacies, banks, beaches, restaurants, bus and train stations and is just 35 minutes by train to the airport of Malaga.